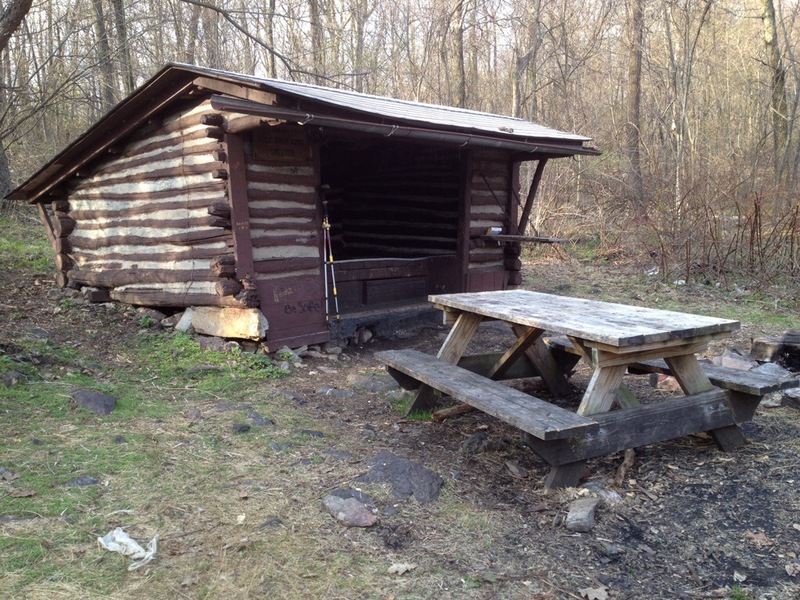 Bake Oven Knob Shelter, Penn., AT NOBO mile 1,245.9, Friday May 2, 2014 — One trail aphorism is that “the trail provides.” The corollary is that the trail also demands. Me, I’ve been tempting rock fate, raiding lost shelters and walking on the knife edge (more on the last one later). Sooner or later I knew I’d have to pay. Today the bill came due. Let’s set the stage. Eckville Shelter was a great place. 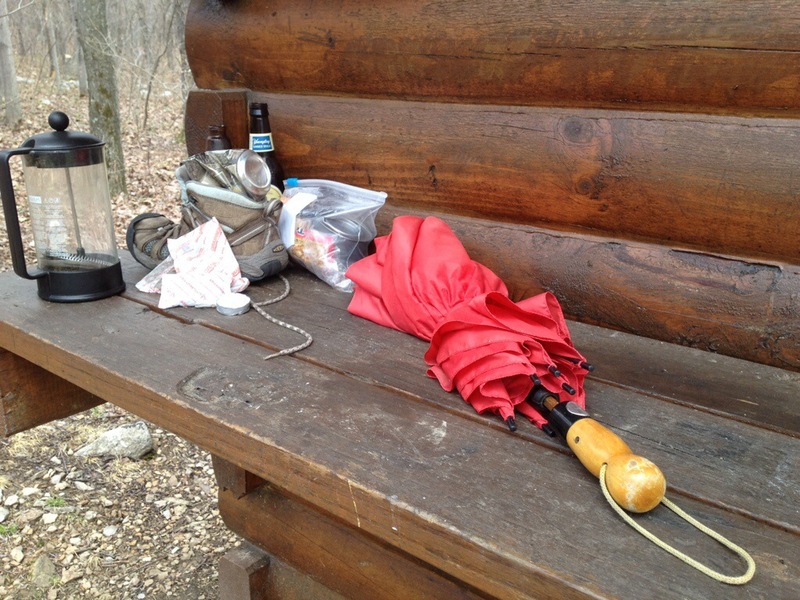 There were four of us including a new personality trail named BUS – Big, Ugly and Slow. He’s a nice guy with whom I have a lot in common. Following a convivial evening we rose this morning knowing we were facing some of Pennsylvania’s most challenging rocks including a feature known as the Knife Edge and the Bake Oven Knob. There also were plenty of “rock puddles” decorating the more common and otherwise brilliantly smooth stretches of super smooth pathway. Early on we encountered a mean boulder field. While dancing through it I missed a step and slipped backward suffering a little rock burn on my elbow. It looks far worse than it is. I treated it with anticeptics and left it exposed to the air. Sadly, the trail of trash continues. In PA the shelters tend to be close to roads which is the best explanation I can conjure . All-in-all, a good day. The trail passes right by the Blue Mountain Summit restaurant. The portobello mushroom burger with Swiss cheese was yummy. So was the Coke. 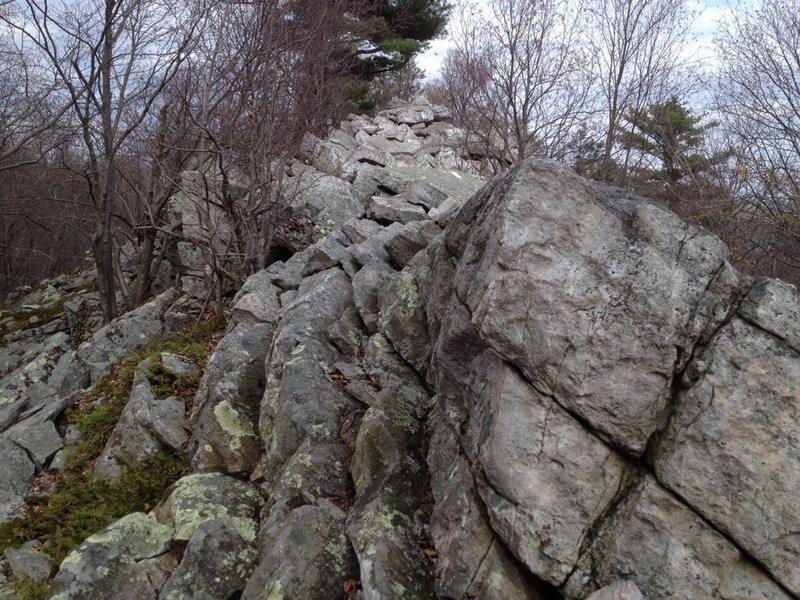 So fortified, I managed to waddle over the Knife Edge and Bake Oven Knob without tossing my cookies — but barely. Tonight’s accommodation is pretty rustic, even for the AT. We’ll correct that tomorrow. Tomorrow is Palmerton where the city lets hikers stay and shower free in the “jail house hostel” located in the basement of city hall. 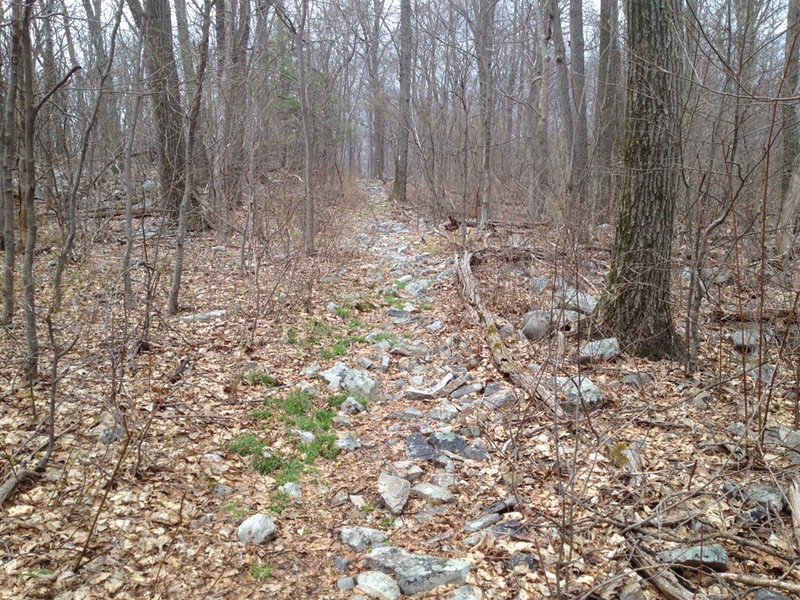 The rocks are actually punctuation marks between long stretches of wonderfully flat, smooth trail. 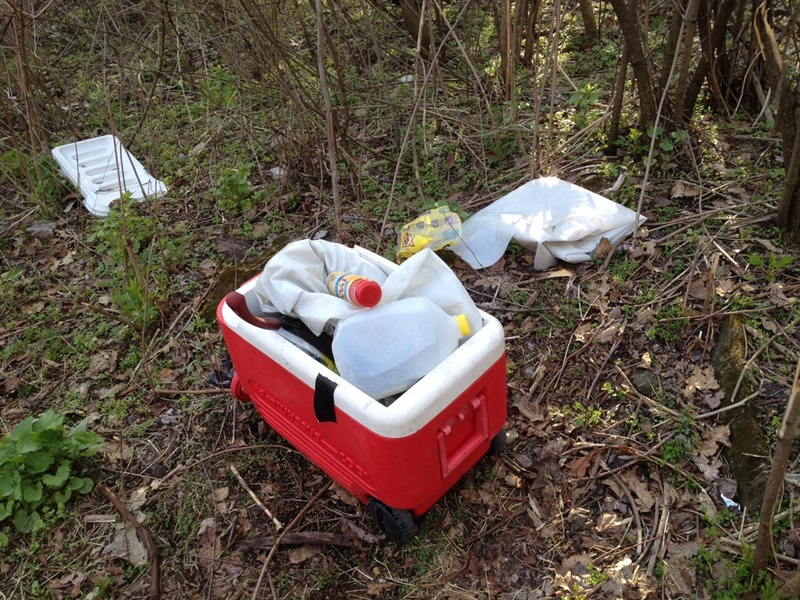 Ah… 3 kinds of messes: your elbow, the refuse people leave behind, and the rocky trail. 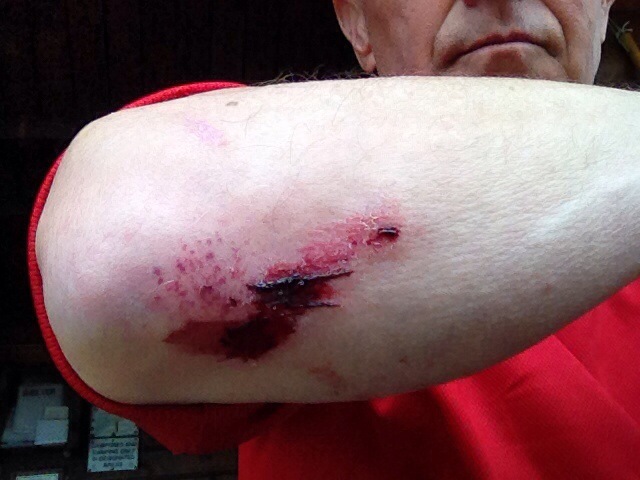 Good to know skin heals and the trail smooths out. Too bad about people’s worst tendencies, though. Some people never learn. We’re now in Palmerton and the jail house hostel. Stay tuned. I’ll write something after laundry and lunch. Nice elbow scrape. The trail is full of rocks. Worse than I thought. Easy to mis-step. Was the Knife Edge the one leading up into the trees and sky? Kind of awkward looking.